One of the interesting things about the X-Men films is that, even though the series now spans more than a decade and encompasses half a dozen films, the series has avoided becoming too bogged down in its own storytelling. Each film in the original trilogy might have built upon the one that went before, but they were largely self-contained stories. This was also the case with the execrable X-Men Origins: Wolverine and the half-decent X-Men: First Class, both of which played on the established characters without feeling like they were just pieces of a puzzle in the way that some of the Avengers-related films could. The sixth film in the series, The Wolverine, is the first to exhibit symptoms of being merely an element of a larger story, rather than a story actually worth telling in its own right. Picking up some time after the events of X-Men: The Last Stand, the story finds Logan a.k.a Wolverine (Hugh Jackman) living a solitary life in the forests of his native Canada. Haunted by visions of Jean Grey (Famke Jannsen), the woman he loved but was forced to kill, he has retreated from almost all human contact. An encounter with some careless hunters brings him to the attention of Yukio (Rila Fukushima), an employee of a powerful Japanese businessman named Yashida (Haruhiko Yamanouchi). Yashida is now an old man on the verge of dying, but as a young man in the Japanese army, his life was saved by Logan when the atomic bomb was dropped on Nagasaki. On her employer's orders, Yukio has sought Logan out so that he can visit Yashida and receive his thanks in person. A mixture of honour and curiosity brings Logan to Japan, where he is soon immersed in the financial, political and familial infighting that surrounds Yashida. He meets Yashida's perpetually angry son Shingen (Hiroyuki Sanada), his beautiful yet miserable granddaughter Mariko (Tao Okamota) and his suspect oncologist (Svetlana Khodchenkova), all of whom seem to be at odds with each other for reasons Logan doesn't quite understand. Most importantly, he meets Yashida and the old man soon offers Logan an intriguing proposition; as payment for saving his life all those years ago, Yashida will take away Logan's healing ability, effectively making him mortal, free to die instead of living forever alone. Logan barely has time to consider the offer before he finds himself running from the Yakuza, desperately trying to protect Mariko from them while trying to figure out what he has stumbled in to. Apart from the scenes in which Logan is haunted/goaded by his guilt over Jean, The Wolverine seems like a fairly self-contained story; it takes its central character to an entirely new location, it features none of the other established characters from the X-Men universe and the events of the story have relatively little impact outside of the people involved. There's no sense, unlike the other X-Men films, that failure would have dire consequences for all man and mutantkind. It really does all revolve around Logan facing his guilt and trying to protect Mariko. That lends the story an intimacy that is refreshing compared to most other superhero movies; it isn't about saving the entire world, it's just about saving one person. 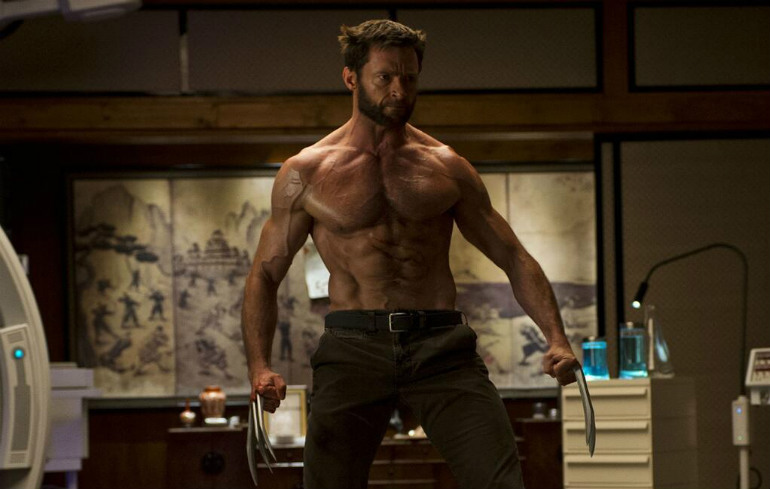 To that end, Hugh Jackman demonstrates once again why Wolverine has become his definitive role. Whether he is wrestling with his conscious or Yakuza thugs, he is totally committed, displaying his inimitable mixture of funny nonchalance and barely suppressed anger. Any scene could end with him skewering someone with a one-liner or his claws, and Jackman clearly still loves playing the character, but he also brings a weariness to Logan that makes his reticence to go to Japan feel real, even though the emotional core of the movie gets lost pretty quickly once bullets start flying. The rest of the cast are okay, but they largely seem to serve as an excuse to cut away from Jackman every so often, rather than having him occupy every single shot in the film. None of them ever really come close to outshining Wolverine, they just serve to fill the spaces around him. However, the same intimacy that makes The Wolverine stand out from the pack also leaves it feeling muted - or as muted as a film which features multiple fights between Wolverine, the Yakuza and/or ninjas can be - and, more importantly, insubstantial. It just doesn't feel like a story that has much weight to it because Logan's anguish is treated pretty offhandedly throughout, serving merely to punctuate the fight scenes and his growing friendship with Mariko, but also because the small, personal story director James Mangold seems to be interested in telling feels swamped by the twists and turns of a boring conspiracy that plays in the background, and by the cacophonous action in the foreground. That action is pretty well-staged, though one sequence in which Wolverine fights some Yakuza on top of a bullet train is both incoherent and vastly inferior to the train top fight in Spider-Man 2 (which looks better despite being made almost ten years ago) but it feels like a distraction from the fact that the story itself doesn't amount to much. And the reason why the story doesn't amount to much, other than for Logan to experience a fairly mild character arc - an arc which could be summed up as: he starts as a super nice guy, realises how super nice he is, then decides to be super nice to other people again - only really becomes apparent after the film has finished, during a post-credits scene which reveals that the whole film was really just place setting for a bigger story. It reveals that the whole enterprise really only served to bridge X-Men: The Last Stand and next year's X-Men: Days of Futures Past, and that would be fine if the story itself felt like it could stand up under its own weight, but it can't. It's dragged down by an adamantium skeleton of needlessly convoluted plotting and an overwhelming sense that nothing in the film really matters. It almost feels like its arc could have been folded into the next film, but they realised that would make it too overstuffed and just turned the offcuts into an outline for a screenplay that was never fleshed out. The Wolverine needed to repair the damage that its predecessor did to the character and the X-Men franchise in general, and in that respect it's successful, since at the very least it isn't awful. Jackman remains as watchable as ever, which helps considering how central he is to the film, and the action sequences are very well done. There's even a nice mystery element to the film, which draws on Chinatown for its inspiration (an idea that is both more and less ridiculous than it might first seem) to tell an effective story about a man out of his depth. Ultimately, though, it's just a feature-length teaser trailer; mildly distracting, but unsatisfying by design.